Preamble: Contemporary asset management reflects the general movement to move away from asset maintenance to focus on the bigger picture of life cycle asset assessment, including strategy, risk measurement, safety and environment and human factors. There is also increased awareness that infrastructure assets are the means to deliver services to fulfil citizens’ and their communities’ needs and requirements. Motivation: Strategic Asset Management Plans are at the forefront of these changes as they signal a shift from simply planning for asset acquisition and ongoing maintenance to a strategic view about determining the purpose and objectives of assets to support the objectives of the organisation. However, it is often unclear how to formulate and develop SAMPs from a strategic perspective and to generate a long-term perspective for assets and service delivery through those assets. This Panel will discuss next generation examples and latest thinking about SAMPs. Professor Kerry BROWN is Professor of Employment and Industry in the School of Business and Law at Edith Cowan University, Perth Western Australia. She obtained her Ph.D degree from Griffith University in Industrial Relations and Policy in 1989. Professor Brown has published extensively in areas related to organisational management, asset management and public management. Active in applied industry research, she has been awarded numerous national competitive grants. Professor Brown has also served as consultant for many organisations, including local, state and federal governments and community organisations. She is currently a Founding Fellow and Board Member of the International Society of Engineering Asset Management, a Board Member of the Australia and New Zealand Academy of Management and a member of the ISO Technical Committee TC251 for ISO55000 Asset Management. Infrastructure has a critical role in modern society as it provides services to communities, supports economic activity and contributes to productivity. In 2014-15 more than $60 billion worth of essential infrastructure was completed across the nation and this will increase significantly in future, with up to $142 billion being spent annually by 2050 according to a recent Deloitte study. As global average temperatures increase and changes to the hydrological cycle become more evident, anthropogenic climate change presents significant threats to cities, economic sectors and infrastructure systems. In 2015, the total economic cost of natural disasters in Australia exceeded $9 billion and a major share arises from damage to infrastructure. Therefore, increasing climate resilience of infrastructure sector in Australia is of profound importance to the national economy and security. In one hand, this poses significant challenges to governments and businesses to consistently consider the resilience of infrastructure when making investment decisions. On the other hand, fast growths of new generations of smart technologies are providing new opportunities and pathways to increase resilience of our existing and future infrastructure systems. This panel session will focus on some of these challenges and opportunities. .
Greg Fisk, Market Lead (Environment), BMT WBM Pty Ltd.
Dr. Fahim Tonmoy is an Adjunct Lecturer at the School of Civil Engineering in the University of Sydney. He obtained his PhD from the University of Sydney in Climate change adaptation of infrastructure systems. He is one of the main contributors of NCCARF’s national climate adaptation tool, CoastAdapt. 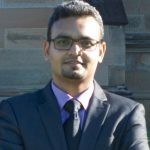 Developing decision support tools, innovative methodologies and framework for climate change risk and vulnerability assessment, understanding infrastructure interdependency during coastal hazards have been Fahim’s prime research interests. He is the recipient of 2013 NSW Coastal Management Award and a member of NCCARF team that received 2017 Australian Coastal Councils Research Award for development of CoastAdapt tool. How to improve Asset Management Performance Assessment Systems? Performance assessment systems are like the weather forecast: they start by telling us what the weather was today. 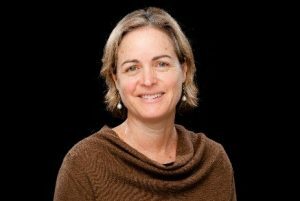 Professor Melinda Hodkiewicz will facilitate the panel session on “How to improve Asset Management Performance Assessment Systems?” This is based on pre-work and a paper with her co-authors Dr. Rob Schoenmaker, Delft University of Technology, Netherlands, Professor Adolfo Crespo Marquez, University of Sevilla, Spain and Professor J.P.Liyanage, University of Stavanger, Norway. Collectively they bring many years of experience of working with industry on performance measurement systems. Melinda was appointed BHP Fellow for Engineering for Remote Operations in 2015. 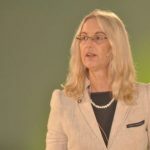 In addition to her academic responsibilities at the University of Western Australia she sits on the Board of the National Offshore Petroleum Safety and Environmental Management Authority (NOPSEMA) and on the Advisory Committee for METS Ignited, the Federal Government Growth Centre for the Mining Sector. From 2012 to 2015 she chaired the Australian Committee for the ISO 55000 series of asset management standards and in 2016 was awarded the MESA Medal. In 2016 she started the UWA System Health Lab which provides a dynamic environment for engineering, computing and mathematics students to work on challenging multi-disciplinary projects aimed at improving the maintenance of assets. The Lab is proud to have won four Unearthed Hackathon Young Innovator’s awards in the last two years.